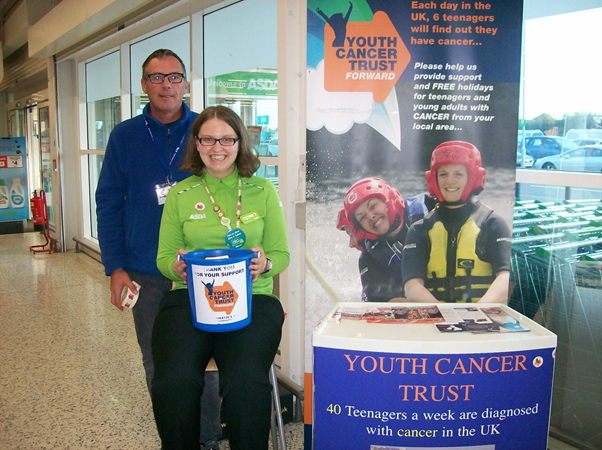 Youth Cancer Trust (YCT) held a cash collection at the Asda Middleton store on Wednesday 19 and Thursday 20 September 2018. A total of £266.71 was raised across the two days; a fantastic response from the store’s loyal customers. These funds are vital to “provide support and free, activity- based holidays for young people aged 14 to 30 living with cancer”. Asda at Middleton are very happy to continue its partnership with the Trust. This help is just one example of its ongoing commitment to local causes in South Leeds by way of cash collections, bag packs and by staff volunteering in the community.